Plenty of S&W M&P9 IWB holsters are out there. No doubt about that. But how good are most of them to actually carry with? A lot of them leave a lot to be desired. Uncomfortable materials, strange fit and retention that you just have to live with because you can't adjust it. Then there's dealing with how a holster designed for a full-size firearm can get enormous, which isn't the most pleasant to wear. Amazing how hard it can be to find a decent M&P9 IWB holster. That's what Alien Gear set out to fix. When we created the ShapeShift line of holsters, we didn't want to just make a couple little things better on holster designs we already made. We wanted to make a better holster than we or anyone else previously had. 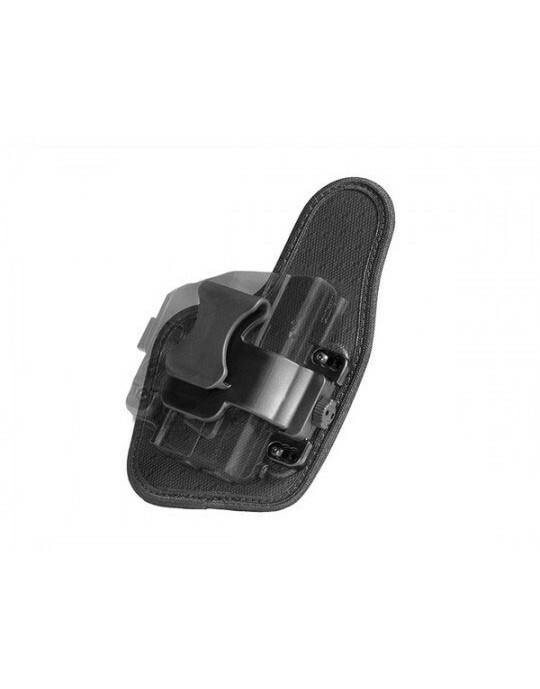 An M&P concealed carry holster that was comfortable to wear. That still let you adjust grip cant, ride height and retention. That also had less of a footprint inside the waistband. And that's exactly what we're offering. How is it really different from other holsters? First is the holster shell. The new ShapeShift shell attaches at one point, rather than at multiple points. It locks in place, so it can't come apart unless you take it apart. The trigger guard is also fully wrapped, offering more security than many other designs. Since the shell itself can occupy less space, that means the backer can be reduced in size, losing about 25 percent of its surface area. That means an IWB holster for a full-size gun that takes up the space of one made for a compact. The backer is a multi-layer design optimized for greater comfort. The backing is our Cool Vent perforated neoprene, which wicks away moisture and breathes, which is reinforced with a layer of spring steel. 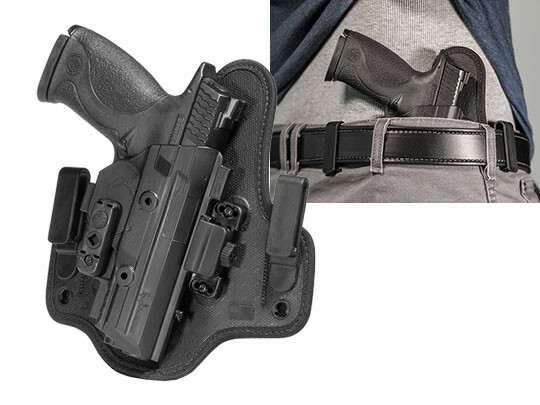 This gives the holster a firm but flexible spine, flexing to adhere to your shape but retaining enough rigidity to carry securely. You can have your choice of belt clips, which can be adjusted for ride height and grip cant and without the need to track down an Allen wrench. Sounds great, doesn't it? Sure, but what someone says about what they make and how you experience it are different things. That's why our guarantee includes a 30-Day Test Drive after purchase. We give you the first month to wear the holster and see if you like it. Return for a full refund if not before the first 30 days is up. We also warranty the holster for life. Why not shift to a better carry?